No one throws a better birthday bash than your friends! Whether you're a fan of beach parties, fancy dinners, or a night of drinks and dancing, friends always know the best way to make you feel special. 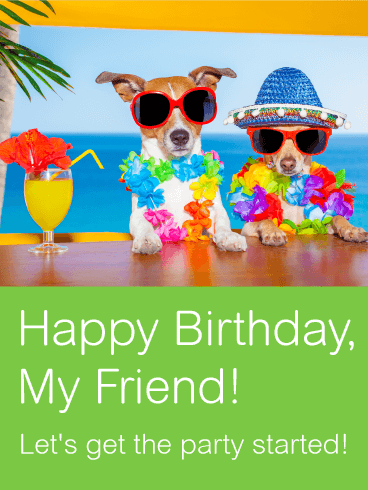 Get your friend's party started with this fun Happy Birthday card, which is sure to make them laugh! 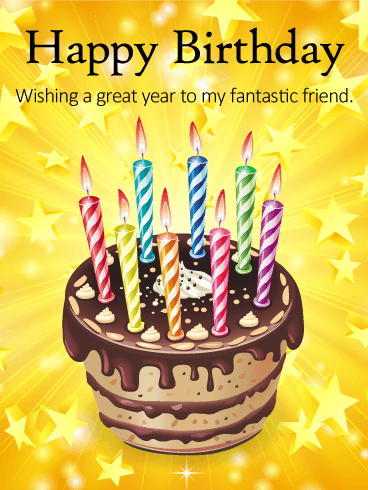 Use this card to send your love and birthday wishes today! Do you have a friend that is close enough to be a sister? Has she always had your back, through the good times and bad? This year, take the opportunity to tell your friend how grateful you are for her friendship and how special she is to you. 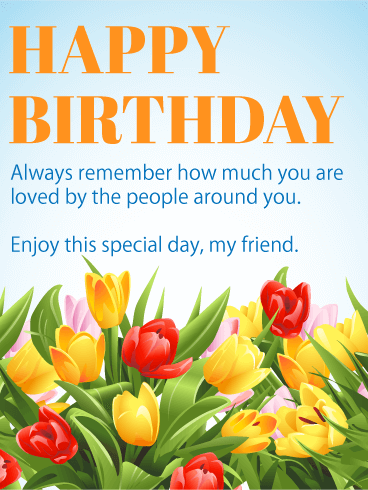 Use this birthday card to wish her a "Happy Birthday" and send your love on her special day! Once a year, you get to celebrate your friend and the difference they have made in the world. 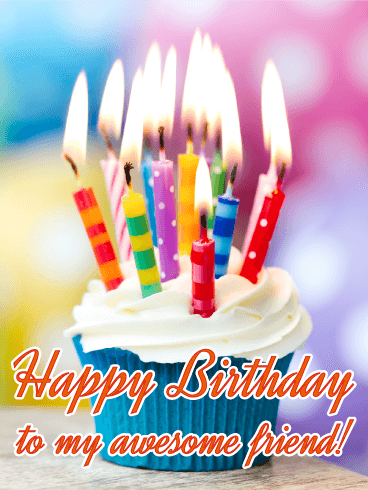 One of the best ways to celebrate this special day is by holding a fun-filled birthday party! 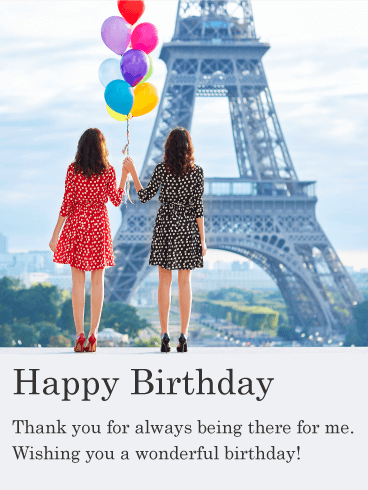 Let your friend know how much you appreciate them by sending this Happy Birthday card. The bright, colorful balloons and pendants will help them have the happiest birthday ever! A night out with the guys is a great way to celebrate your friend's birthday! If you are too far away to get the group together or you just want to send a fun card, this Cheers! 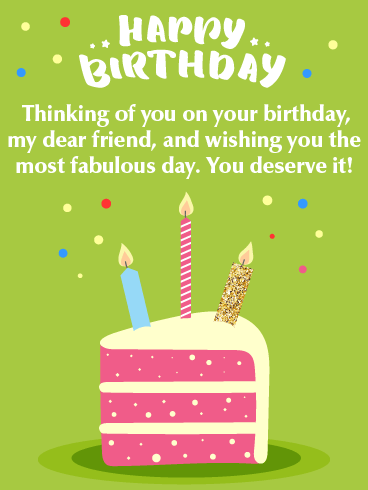 Happy Birthday card is the one for you! 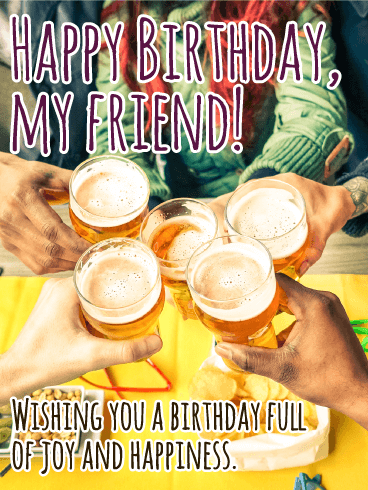 Use this card to make a toast to your friend a year that is even better than the one before! Friendships are one of the most important and special parts of a person's life. 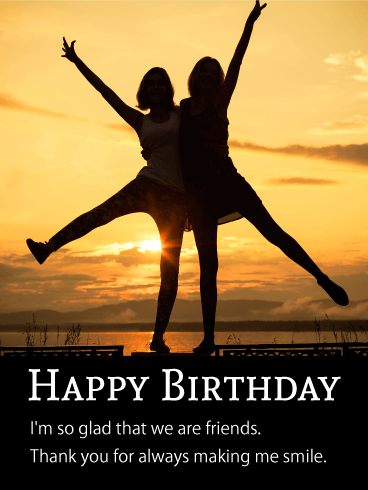 If you have a friend who makes the world a better place, let them know with this sweet Happy Birthday card! 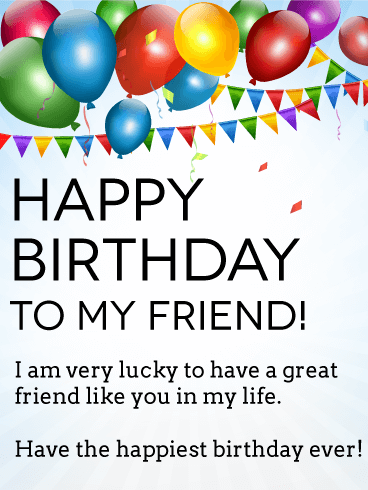 The special message and silly picture are the perfect way to say "Happy Birthday" and let your friend know how much you appreciate and care for them. Is your friend the most amazing person you have ever met? Do you wish you could tell the world how awesome your friend is? 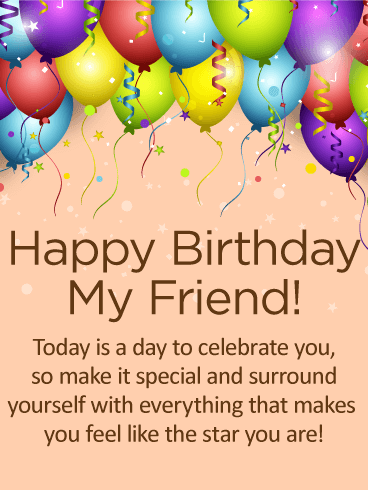 You may not be able to tell everyone, but you can definitely celebrate your friend on their birthday! 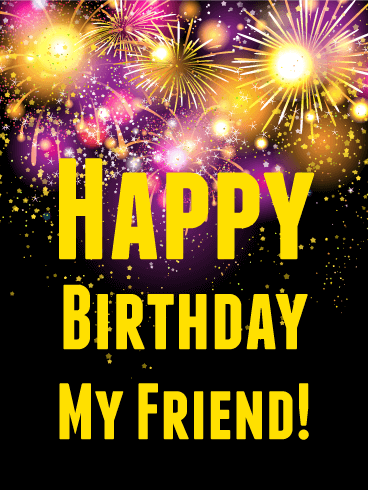 Use the fireworks and bright colors on this Happy Birthday card to tell your friend how they light up your life every day! Birthday cakes are one of the best parts of a birthday celebration. 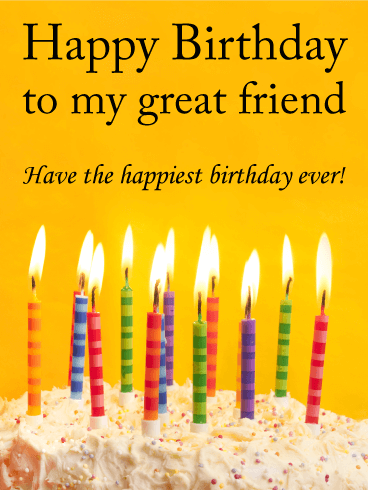 If you have a friend who has a birthday today, help them celebrate with this Happy Birthday card! The frosting, sprinkles, and burning candles will get them excited for a real birthday cake and the message will make them smile! 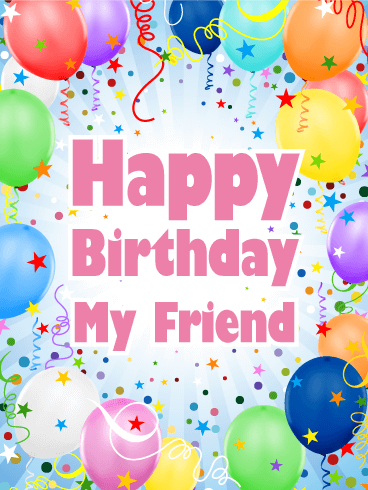 Help your friend have the best birthday ever by sending this birthday card today!